Every Friday, we bring you Offal of the Week: an up-close and personal look at one of the less-familiar parts of the animal. Delivered fresh by Ryan Adams of the blog Nose to Tail at Home, we highlight a different cut of meat that you've always wanted to make, but were afraid to ask your butcher for. This week: liver. Liver is without a doubt the most perplexing of all offal. At the top of the list is foie gras, celebrated and cherished by gastronomes everywhere, and at the very bottom you'll find livers from polar bears and seals that are so saturated with Vitamin A that eating them is a possible death sentence. Somewhere in between those two extremes of culinary rapture and death, you'll find a wonderful, misunderstood organ that when properly sourced and prepared can make for one of the most memorable meals of your life. The most striking aspect of liver is its strongly musky, meaty, slightly metallic flavor, which is so unique that it's used as a palate reference point for the taste of other foods. Beyond the flavor, liver's texture can vary greatly depending on cooking method: when cooked whole or in chunks you can expect a heavy density that somewhat resembles a grainy fudge, but on the other end of the spectrum is the wonderful lightness of liver mousses and pâtés. Liver can be baked, boiled, broiled, fried or even eaten raw. It can be used in making sausages such as Braunschweiger and liverwurst, or as a filler in terrines. 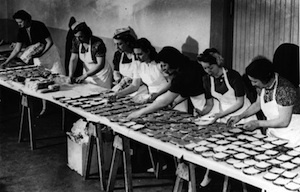 Jewish delis are famous for their chopped chicken liver, delicious between two slices of rye bread. And of course the infamous pan-fried calves' liver and onions, the bane of stereotypical children (and increasingly making a comeback in restaurants, right along all the other comfort foods). 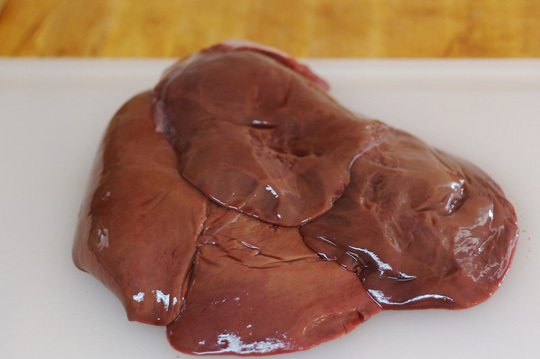 There are a few important things to consider when it comes to preparing and eating liver. Bluntly stated, the liver is the body's filtering system for toxins and impurities. Given that, factory farming of animals and the chemical additions used in their upbringing renders most livers sadly undesirable, with a strongly unpleasant flavor. Ideally you'll want to find livers that come from local sources — farmers markets are your best bet, though if you have a well-developed relationship with your local butcher they can probably provide you with the good stuff - or at least help you find it. Beef and chicken livers can be found in the meat departments of even the most mundane supermarkets. Lamb livers can be sourced from good Halal stores, and pig livers are always plentiful at your local Asian market. When inspected, the organ should be firm and shiny with a dark red to brown color. Regardless of what animal your liver comes from, try to find the freshest you possibly can. Freezing isn't really an option, but you can store them in the fridge for two to three days before they begin to spoil. Are you ready to put that childhood fear of liver behind you? If so, here are a few recipes to bury the hatchet for good.